The family Scincidae, the skinks, contains over 1,200 species – more than any other family of lizards. Skinks range throughout the Eastern and Western Hemispheres, reaching their greatest diversity in Southeast Asia, Australia and Africa. 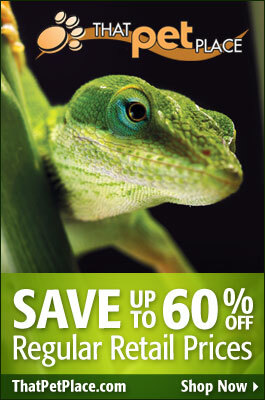 Among its members we find some of our most common pet reptiles and least-known lizards. The following information is meant to introduce you to their wonderful diversity of forms and lifestyles. The group’s largest member, the Prehensile-Tailed Skink, Corucia zebrata, reaches 28 inches in length and is unique in a number of ways – it is entirely arboreal, has a prehensile tail, is limited in range to the Solomon and surrounding islands, feeds on leaves, gives birth to 1 (rarely 2) large offspring after a gestation period of 8-9 months, and seems to have a complex social structure that includes parental care of the young. Typical skinks are elongated in form with small legs and shiny scales. Most are secretive and, although often diurnal (active by day), spend a good deal of time below rocks, logs or leaf litter. Legs are absent or reduced in many species, including the various African and Middle Eastern “Sandfish” (Shenops and other genera) which seem to swim as they wriggle through shifting sand dunes. Most skinks are insectivorous, but many also take fruit, carrion and small mammals, birds, reptiles and amphibians. Several consume vegetation exclusively. Almost half of the known species bear live young, and a number of these have evolved a primitive placenta. Many oviparous (egg-laying) skinks guard their eggs, and there is evidence that females may move the egg clutch in response to disturbances. Quite a few skink species depart from the group’s typical body plan and lifestyle. New Guinea’s Fojia Skink, Fojia bumui, for example, has plate-like scales down the center of the back and granular scales along the sides. It clings to vertical rock surfaces along streams, dives after small invertebrates that swim by, and climbs into bushes to sleep on large, sturdy leaves. The genus Egernia contains at least 23 species that live in extended family groups and exhibit complex social behavior. There are also aquatic, arboreal and fossorial skinks, some of which have scale-covered, sightless eyes. While growing up in NYC, I was pleased to learn that New York State is home to 2 skink species – the Five-Lined Skink, Eumeces fasciatus and the Coal Skink, E. anthracinus. They are, in fact, the state’s only native lizards – Staten Island’s Eastern Fence Lizards were introduced there by none other than the Staten Island Zoo’s famed reptile man, Carl Kauffeld (to provide a source of food for lizard-eating snakes) and the Italian Wall Lizard of the Bronx, Queens and Nassau County is a pet trade escapee (I have observed free-living Wall Lizards for some time now…more on them to come).